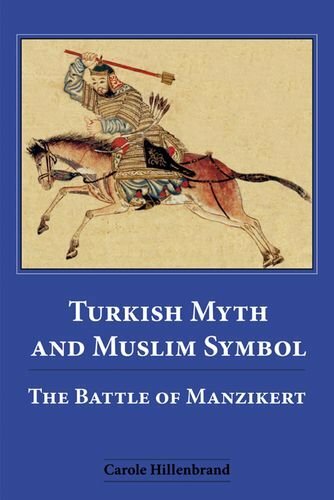 Which were the best history books published this past year? Each year, the UK's Wolfson Prize tries to sort through the hundreds of history books that are published to find outstanding books that are both important and readable. Wolfson Prize judge Carole Hillenbrand introduces the six books that made this year's shortlist. 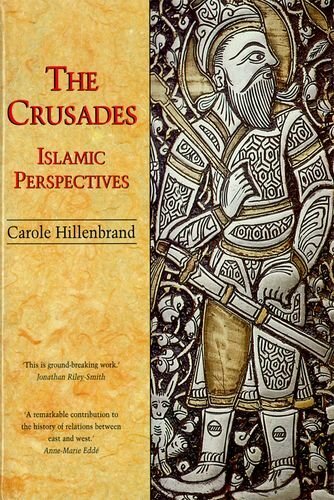 Carole Hillenbrand is Professor Emerita of Islamic History at the University of Edinburgh and Professorial Fellow of Islamic History at the University of St Andrews. In 2005 she was awarded the King Faisal Prize for Islamic Studies, the first non-Muslim to be awarded this prize. Are these six books on the Wolfson Prize shortlist the best history books of the past year? I think so, as far as I’ve seen. It was a very close competition, in terms of what to choose, and what not to, as always, but we came to a very good consensus of opinion. How do you set about choosing them? What are the criteria? The Wolfson judges apply only two criteria: deep scholarship and accessibility. Deep scholarship implies the mastery of primary sources, and that at once excludes the many history books published each year that exploit the scholarly research of others, so as to write popularising versions of the same material. But deep scholarship also implies a respect for the truth that acts as a brake on over-bold speculation, or generalisation, as well as an ability to sift evidence, to see the wood for the trees, and to fashion a convincing view of those aspects of the past that are under discussion. All these aspects of deep scholarship are not difficult to recognise. Most readers can tell the difference between a reliable author and a dodgy one. In short, they can tell a potboiler when they see one. The other criterion is accessibility, and this is partly a matter of language and partly to do with the choice of material. The language has to be plain, clear, jargon-free (hopefully) and, if possible, elegant. The book should be a pleasure to read. If all this cannot persuade you to turn the page, that alone puts a book out of contention. Accessibility always has to do with subject matter. Essentially, trivial subjects are unlikely to appeal to a wide audience—hungry to learn, to be challenged, to explore hitherto unknown worlds, or to see the past as having relevant lessons to teach the present. Accessibility also implies a grand theme; often—and this is something I’d like to stress—with striking, unexpected contemporary relevance. The Wolfson judges operate these criteria very carefully to draw up first their long- and then their shortlist. All the books on the shortlist are by professional historians, presumably because of that requirement you mentioned for deep scholarship, but they’re also intended to appeal to a broad audience, aren’t they? In an ideal world, they are for both professional historians/an academic audience, as well as the public, eager to learn. There really is a great hunger for books from the public. I’ve been to several book festivals in the last few years, with my latest book, and anyone who says the book is dead is crazy. It’s very gratifying to see that. Long live the book! 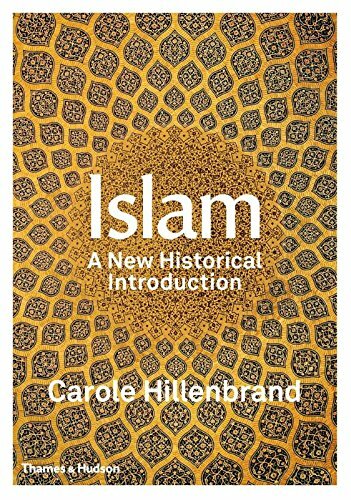 Speaking of your own area of expertise, I’m hoping you can recommend the best books on Islamic history for us at some point. I know a great deal about that subject. I’ve only been a Wolfson Prize judge for a little while, but I do have a wider expertise from my earlier degrees. Also, you can’t afford—if you’re a historian of the Crusades as I am—not to know about Western Europe. But the more books we get about countries outside Europe, the better. I hope more people from those countries will feel emboldened to put their books in. So let’s go through the books we’re talking about today. 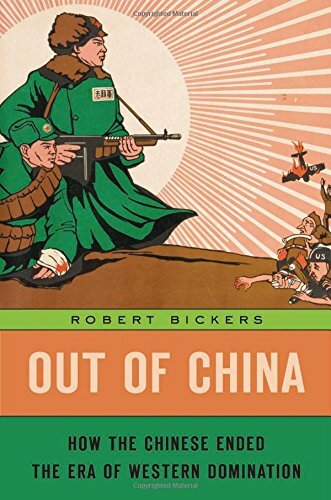 Let’s start with Out of China by Robert Bickers. I’m quite intrigued by this book because, as I think it says on the blurb, China’s current political leaders are very much shaped by what the country experienced at the hands of the West over the past few centuries, but many of us are quite ignorant about that history. Most people don’t know much about it and, in view of the importance of China today, it’s a matter of some urgency that we learn about it. I think Out of China is a very ambitious and grandiose study of imperialism and anti-imperialism, and of the new nationalism in 20th century China. The narrative is very animated. At the same time, it’s very scholarly and well researched. It uses archival material from China as well as Britain and the US. The whole impression one gets is of clarity and depth of knowledge on the part of the author. The basic overarching theme is why China wanted rid of imperialist outsiders. I must confess to learning a lot about what happened in the 19th century, with the Opium Wars, and China and the Western powers, especially Britain, fighting over the question of commercial rights in China. These treaties that were drawn up between China on the one hand—and Britain, France, and Russia, and the US on the other—opened up a group of Chinese ports to the foreigners and, at the same time, legalised opium traffic. Shanghai, for example, became a British enclave. For me, the book helped me to understand modern China a lot better. It starts by analyzing that classic symbol of foreign imperialism in China, the sign on a park in Shanghai saying, ‘No dogs or Chinese allowed.’ The historical record suggests there never was a sign saying exactly that, but, in practice, Chinese were not allowed in the park. The Chinese Communist Party really does play up the national humiliations of the past to assert its legitimacy—but there is also a lot to be angry about. I think the book also shows that tension. It’s such an important country. And we have so many Chinese postgraduates coming to Europe and the United States to study with us. They obviously recognise the importance of English as the global language, but we should also have enough people who are learning Chinese. 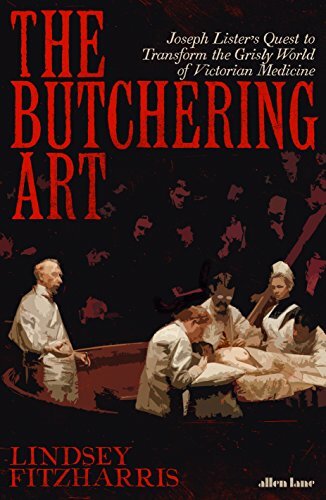 Let’s go on to your next book, The Butchering Art: Joseph Lister’s Quest to Transform the Grisly World of Victorian Medicine by Lindsey Fitzharris. This is really a gripping read, opening with this description of surgery as spectator sport. If you like that kind of thing! This book is not for the squeamish. It’s rather visceral. It’s about Victorian surgery and it’s fascinating. I’m very intrigued and interested in learning about the history of surgery, and especially about Joseph Lister, the father of antiseptic. He was a real pioneer, working on the margins between science and medicine, and doing wonderful things to move us on. These early surgeons were operating on the dividing line between life and death—and mostly death, it would appear. This young scholar has a very lively style. She has used a lot of primary material, and made the work accessible, perhaps too accessible at times, for the general reader. Do the books selected for the prize have to include original research? Absolutely, but that isn’t the only thing that they’ve got to do, because they also have to be significant. You can be really keen on something which is of rather narrow interest to most people. It doesn’t mean that you’re not doing something worthwhile, if you do actually write such a book. But the Wolfson is about giving the possibility to large numbers of people to read very, very worthwhile historical books. And what would you say was the significance of this book? Why is it relevant to us today? Simply the courage and determination of scientists to take risks, to work on the margins, and to discover life-saving information from which we benefit today. Many of us wouldn’t be around, if Joseph Lister hadn’t been around and antiseptics hadn’t been discovered. It can’t possibly be regarded as abstruse, esoteric information. It’s bang in the middle of what keeps us alive. Oh my goodness me, absolutely. Look at the Crimean War and how many people died—not on the battlefield, but from their septic wounds. 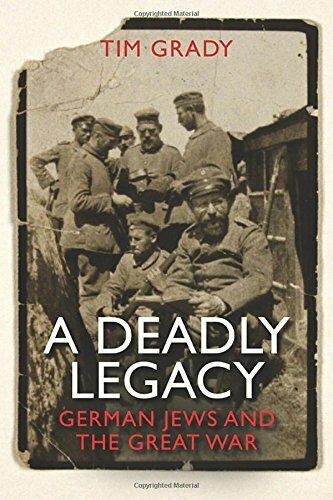 Okay, next up we have A Deadly Legacy: German Jews and the Great War by Tim Grady. Tell me what you like about this book. This book was such a surprise. I don’t think many people would expect, given the horrendous activities of the Germans towards Jews in the Holocaust, that there was a previous generation of Jews who actually fought for Germany during the Great War. Thousands of Jewish soldiers were killed in World War I, as this book tells us. I was totally amazed by that. It’s a very brave book I think, also. Because it’s going to surprise people that there was a generation or two before Hitler, where Jews were proud to be German, and not persecuted in such a terrible manner. I think it is a brilliant book, which presents a new view of the German Jewish community during the First World War. I was also surprised at what light is shed on the diversity of Jewish experience. However, the book also makes it clear that things did disintegrate as time went on. Nevertheless, there was this period in World War I, where Jews were awarded for bravery, and died in battle, on behalf of Germany. There is an amazing photo in the book of a Jewish soldier going off to war, and his friends, who are also Jewish, waving him off and smiling. It seems like a joyous occasion. It’s a very poignant photo. That appealed to me too. It was the first thing I noticed when I flicked through the book. Yes, this book well deserved its place on the shortlist. As do all the other five. 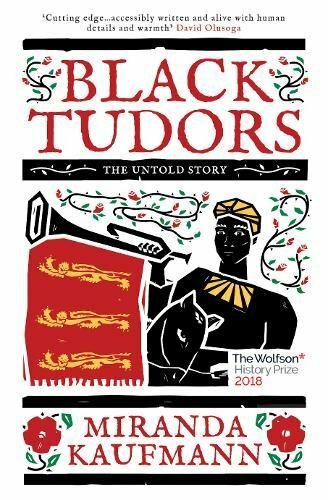 Let’s go on to the next book, Black Tudors: the Untold Story. I didn’t manage to get a hold of a copy, but it sounds intriguing. It’s a very interesting book. The author, Miranda Kaufmann, found evidence, in the National Archives in London, of the presence of 360 black people, in the period 1500 to 1540, who lived in England. She chooses ten of these individuals and writes biographies of them. They’re ten very diverse individuals, and she writes about their lives in a very interesting way. The anecdotes are quite startling at times. She writes the biography of a Moroccan woman, who gets baptised as a Christian in a London church. There’s a story about a black porter who is asked, in a posh Englishman’s manor house, to whip a white Englishman. How that came about is rather extraordinary. The book really does uncover a previously neglected area of English history. When we think of black people in Britain historically, we automatically think of slaves. This preconception has to be slightly modified, I think. Basically, this was before the age of British slavery. Yes. That’s what she’s arguing, certainly. They’re quite interesting people. One of them is a servant. One of them is a prostitute. She’s chosen 10 very different types of jobs for the people selected. What’s the general attitude towards black people in the Tudor era? Does she give a sense of what English society makes of them? She says that it was just part of life in Elizabethan times, with all the navigation that went on. One of them had sailed with Francis Drake. It was just part and parcel of life—at least that’s the impression I got. 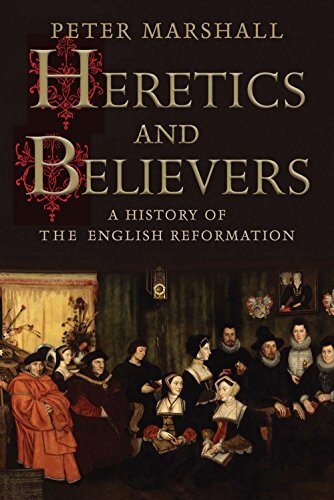 So next we have a book called Heretics and Believers: A History of the Reformation by Peter Marshall. Is there something new and exciting to say about the Reformation? I don’t blame you for asking that question, because we think we know it all, don’t we? And I suppose, in a sense, we all have our views about the Reformation. This is a book that I regard as excellent in terms of both scholarship and readability. It’s deep, it’s got gravitas, and yet it’s written in a very pleasing and lively style. In particular, Marshall talks about Henry VIII and the scale of social disruption he caused, when changing England from a Catholic to a Protestant country. Marshall’s book tells the familiar story again, but he talks not just about religion changing but also about how ordinary people felt and what their involvement was. It’s much more about people, as well as doctrine. So, the Reformation isn’t just an affair of state. The population of England suffered greatly. He emphasises this point. It was a bloody process. 10,000 men died in 1549. Marshall points out that that was a huge proportion of the English population at the time. He argues convincingly that the Reformation was not just religious—though of course that was the theme that was trumpeted at the time—but it also involved a nation deeply divided and, as a result of different views of religion, radicalised. I think at one point in the book he says that what makes it a very real and relevant issue today is that it’s about how to live with difference—with each side believing strongly that their own side was right. Back then, the stakes were eternal damnation. Now, that’s probably not so much of a concern, but the issue of how you deal with people who have different views from your own remains. It’s quite a long book, though—just under 600 pages. You have to be committed. It’s well worth the reading. It’s as I said, very, very nicely written, and he’s a master of the material, definitely. And anything to do with Henry VIII, we love, don’t we? I feel very irritated with Henry VIII, that he got away with murdering so many wives, and we still don’t write him off as a monster. Oh, but he was so clever, intellectually. At least, this is the profile that he is given in history books. It’s not my field, so I’d better shut up! 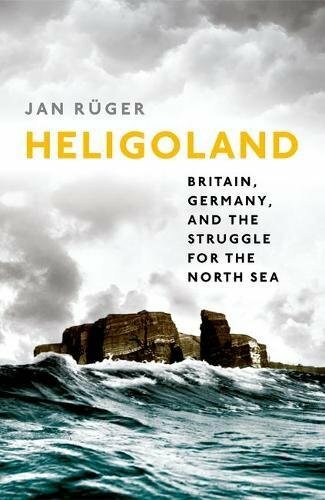 So the last book on the 2018 shortlist is Heligoland by Jan Rüger. He basically uses this tiny island in the North Sea to discuss the history of British and German relations in the 19th and 20th centuries, is that right? Yes. He talks about the island being a metaphor for Anglo-German rivalry. And what a turbulent fate this little rocky island in the North Frisian islands had! They spoke a language very few people know about, called Heligolandisch. It was probably a branch of Frisian. You can’t get much more remote than that, and to use the fate of this little island as a lens to look at Anglo-German relations is very bold, I think. And it works. It’s a serious work of scholarship, using primary sources, and very accessible. It was really fascinating. I learned all sorts of facts that I hadn’t heard before. For example, that Britain handed over Heligoland to Germany in 1890, in exchange for Zanzibar. It’s an extraordinary exchange. Certainly Zanzibar would have been a lot warmer, but quite apart from that, the people of Heligoland didn’t have much to say about it. They were just pawns in the game, weren’t they? It was a battle site, a point of issue in both World Wars. Also, I was horrified to read that in 1947 British forces set off the largest non-nuclear explosion in history there. So, a long tradition of rivalry between England and Germany comes to an end in the debris of what remains of Hitler’s island fortress. It’s a very unusual book. Again, it shows us the way in which a really good piece of scholarship can be made fascinating with primary sources, accessible to the ‘ordinary’ reader, and also be something that can be broadened into significance of a wider nature. Yes, I do think Britain’s relationship with Germany is very much a live issue, and something where it’s helpful to better understand the history. And I didn’t even know where Heligoland was, although that whole area does ring a bell from adventure/spy stories like The Riddle of the Sands. Not just that, it’s mentioned in 5 am weather forecasts on Radio 4, if you’re up that early. I gather that it’s quite a popular tourist place now.